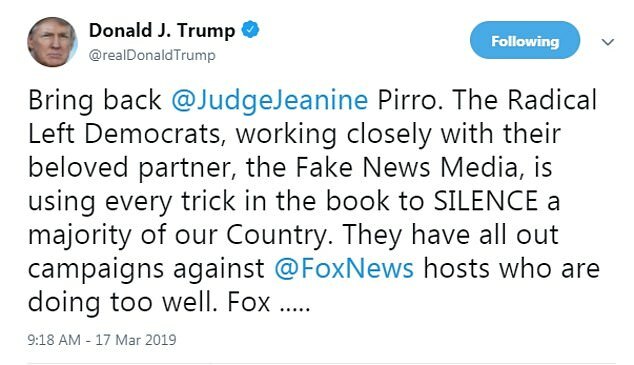 President Donald Trump has called on Fox News to ‘bring back’ Jeanine Pirro after her weekly show was replaced by a documentary following her remarks suggesting that Rep Ilhan Omar’s hijab meant that she subscribes to sharia law. Instead, the network re-aired the documentary Scandalous: The Trial of William Kennedy Smith, in Pirro’s normally scheduled time slot at 9pm. 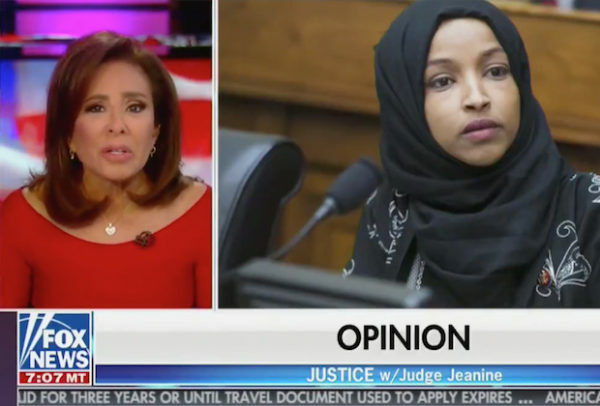 According to The Hollywood Reporter, a Fox News spokesperson said the network is ‘not commenting on internal scheduling matters’. 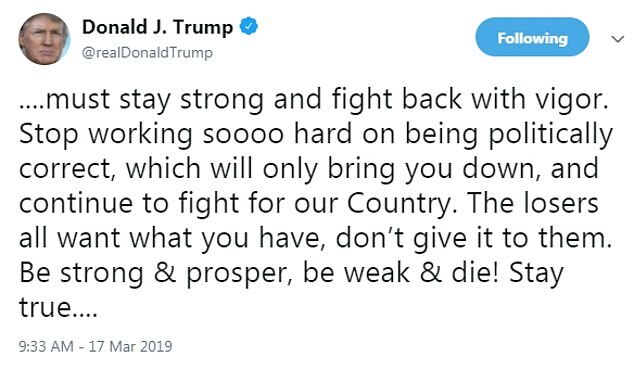 In a second tweet, the president said that ‘Fox must stay strong and fight back with vigor’. ‘Stop working soooo hard on being politically correct, which will only bring you down, and continue to fight for our Country. The losers all want what you have, don’t give it to them. Be strong & prosper, be weak & die!’ Trump said. 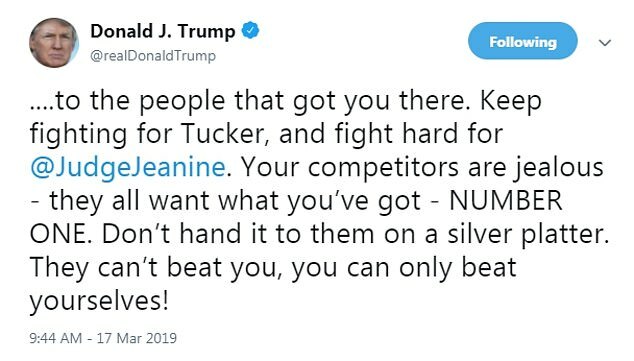 I am supporting Judge Jeanine, she backed up all her comments with facts, why can others belittle our President Trump and not be reprimanded, no facts, just words.